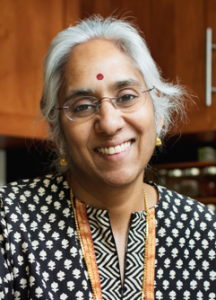 Saraswathi Vedam is Professor of Midwifery and Principal of the Birth Place Lab at the University of British Columbia. She has been a clinician and a health professional educator for over 30 years. Professor Vedam has been active in setting national and international policy on place of birth, as well as midwifery education and regulation. She has provided expert consultations to policy makers in Mexico, Hungary, Chile, China, the Czech Republic, Canada, the US, and India. She was Convener and Chair of 3 national Home Birth Consensus Summits. At these historic summits, a multi-stakeholder group of leaders (clinicians, consumers, policymakers, legislators, researchers, ethicists, and administrators) crafted a common agenda to address equitable access to high quality care across birth settings in the United States. In 2010, Professor Vedam chaired the 5th International Normal Labour and Birth Research Conference in Vancouver. 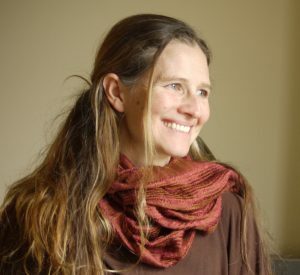 She also spoke at the 2011 Vancouver Café Scientifique, where she moderated an expert discussion on the topic Home Birth Understood: Tales & Truths. While Director of the UBC Division of Midwifery from 2007-2012, she was responsible for achieving support from the BC Ministries of Health and Advanced Education to support the expansion and renewal of midwifery education. 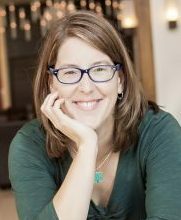 Professor Vedam’s research projects include the national, CIHR-funded Canadian Birth Place Study examining attitudes to place of birth among maternity care providers; and Changing Childbirth in BC, a provincial, community-based participatory study of women’s preferences for maternity care. Her scholarly work includes critical appraisal of the literature on planned home birth, evaluations of innovative models for fetal assessment, and development of the first US registry of home birth perinatal data. To apply her findings to pragmatic tools to improve quality and safety, professor Vedam has developed clinical screening and quality measures, including MAPi, the Movement and Pulse index for assessment of fetal well-being, the Mothers’ Autonomy in Decision Making (MADM) scale, and the Mothers on Respect index (MORi). Currently, she is leading multi-disciplinary teams in the US Birth Place Mapping Study to describe the status of licensure and integration of midwives in the United States; and the Giving Voice to Mothers Study to explore the unique experiences of families from communities of color and families who plan home births, across North America. Kathrin Stoll is a PhD-level researcher with over 15 years of experience. She holds federal (CIHR) and provincial (MSFHR) postdoctoral salary awards. Her program of research focuses on clinical, psychosocial, and health systems factors that are associated with optimal maternal and newborn outcomes. 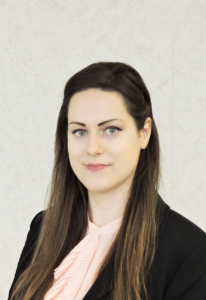 She has expertise in quantitative research methods and analyses, including survey and evaluation research, scale construction and psychometric testing, perinatal population data analysis, and regression modelling. Because of her interdisciplinary education and work experience, spanning the disciplines of psychology, sociology, epidemiology, nursing, family practice, and midwifery, Kathrin has had the pleasure of working with clinicians, graduate students, and fellow researchers from different disciplines. She is experienced with grant development, has published over 30 papers, and volunteered for 5 years as co-editor of the Canadian Journal of Midwifery Research & Practice. Kathrin works closely with 2-4 midwifery undergraduate and graduate students every year and enjoys mentoring them through the process of developing the research skills necessary to complete their capstone/thesis projects. 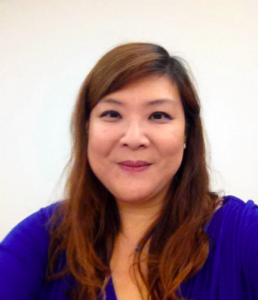 Winnie Lo joined Birth Place Lab in Feb 2019. She is a trained nurse, midwife and OBGYN sonographer licensed in the UK and holds an MSc in Public Health from the University of London. She has extensive healthcare operation, research, clinical and teaching experience in women and child health in the UK and UAE. She has dedicated most of her career in advocating person-centred care, improving quality of care, accessibility and equity through setting up and developing clinical and specialty services. She has co-authored several publications and received media attention on her research in obesity and recurrent miscarriage which has been included in guidelines, earning her an award in implementing changes in clinical area. Winnie is passionate about multidisciplinary collaboration, patient engagement and training to promote positive inter-professional work culture and cohesiveness to improve care, outcomes and experiences of service users. She is excited to be part of the Birth Place Lab team, to facilitate multidisciplinary and community based participatory research on maternity health care and birth settings in BC and in Canada. 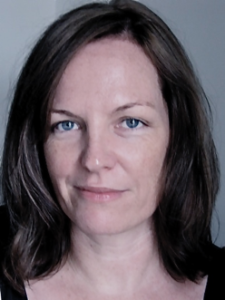 Alison has extensive experience working with vulnerable patient populations and diverse groups of people. 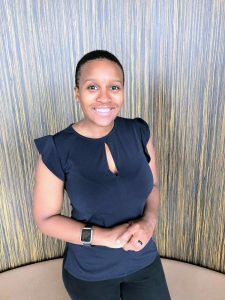 Her fluency and working knowledge in French, Ndebele, Zulu, Spanish and Portuguese have enabled her to connect with varying communities. Alison has co-authored four published manuscripts and contributed to several posters, abstracts and conference presentations. She is very passionate about being a part of the solution to reducing the burden of preventable maternal and newborn death and increasing access to reproductive healthcare. 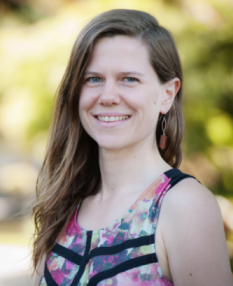 Ali McIntosh is the Community Engagement Coordinator for the Birth Place Lab, US. She supports knowledge translation for our US and Canadian partners and stakeholders, and facilitates ongoing research to improve safe, accessible and respectful maternity care. Ali is interested in maternal autonomy, health equity and maternal mental health. Jeanette McCulloch provides communications support and knowledge translation for the Birth Place Lab. She is the co-founder of BirthSwell, which is improving infant and maternal health - and the way we talk about birth and breastfeeding - through strategic digital communications. 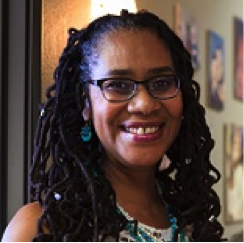 With more than 20 years experience in communications and women’s health advocacy, she provides consultation to local, statewide, national, and international birth and breastfeeding organizations and small businesses. She has published research and spoken at national conferences on reaching millennial parents online. She is passionate about health equity and ensuring that all families have access to high-quality, culturally sensitive birth and lactation care. Jeanette has two children, both born with the support of a midwife. Tanya Khemet Taiwo, CPM, MPH lives in Sacramento, CA where she has practiced in community clinic settings for 18 years. She currently works in a Federally Qualified Health Center, caring for low-income families in a multi-disciplinary setting, where women’s health services are enhanced with health education, nutrition and social services. She comes from a family tradition of midwives, was trained at Seattle Midwifery School, and apprenticed with midwives in Seattle, Senegal and Jamaica. 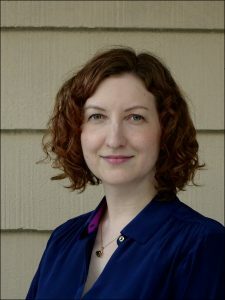 An adjunct professor in the Department of Midwifery at Bastyr University in Kenmore, WA, Tanya is a PhD candidate in Epidemiology at University of California – Davis. She is conducting research on the role of prenatal maternal stress and socioeconomic status on infant neurodevelopment and immune system functions. She also serves as co-President of the Board of Directors of the National Association of Certified Professional Midwives, and counts herself blessed as the mother of three beautiful girls who were all born at home into the hands of midwives. Courtney Broten completed a degree in Midwifery and has since cared for diverse groups of people throughout pregnancy, birth, postpartum, and newborn periods in both rural and urban settings in British Columbia. She has served as faculty with the Division of Midwifery at UBC since 2010. Her professional responsibilities have included working for the Midwives Association of BC on provincial access issues for midwives. She is particularly interested in health professional education research and design. Courtney has completed a Master’s in Health Professional Education through Maastricht University in the Netherlands, and she is a member of UBC’s Centre for Health Education Scholarship. 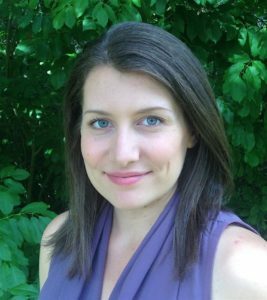 Sarah Munro is a qualitative health services researcher whose focus is knowledge translation and implementation science. Her research focuses on the development and evaluation of tools that support shared decision-making for patients and their care teams, and the investigation of factors that influence implementation of patient-centred practice and policy. Dr. Munro has a joint postdoctoral fellowship appointment with the Contraception and Abortion Research Team (Supervisor: Dr. Wendy Norman) and the Preference Laboratory at The Dartmouth Institute for Health Policy & Clinical Practice, Dartmouth College, USA (Supervisor: Dr. Rachel Thompson). Her fellowship is supported by a Michael Smith Foundation for Health Research Trainee award. Dr. Munro is currently involved in studies related to implementation of patient-centred care for choice of next birth after caesarean (Birth after Caesarean), choice of contraception (Right for Me), place of birth and model of maternity care (Where and How You Birth - WHY Birth), medical abortion practice (The CART-Mifepristone study), and prenatal education delivered via text message (SmartMom). She partners closely with stakeholders (patients, health care professionals, and policy makers) to produce evidence that is action-oriented, relevant, and supports patients and their care teams to make informed, shared healthcare decisions. Elizabeth is a direct-entry midwife and a health researcher skilled in quantitative analysis, GIS, data visualization and has experience in research methods and has published over 10 papers. Her recent research used US data (MANA Stats) to explore rural birth outcomes for women who planned community births. She is interested in research on place of birth, access to care and perinatal outcomes and is a current PhD student in the School of Population and Public Health at UBC. She recently graduated from the Masters of Science in Midwifery at Bastyr University (Seattle, WA) and has started the process to become certified as a Registered Midwife (RM) in British Columbia.